Samsung Mobile India has brought another variant of its mid-segment smartphone 'Galaxy On Nxt' which was launched in India last year. 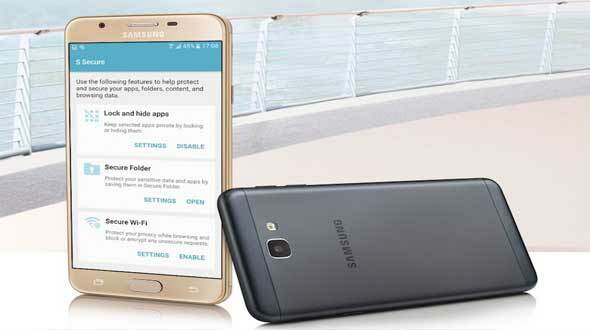 The Galaxy smartphone with 32GB internal storage has now seen an upgrade in its internal storage. The 2017 Samsung Galaxy On Nxt edition comes with a 64GB internal storage and is priced at Rs 16,900. The smartphone sports a 5.5-inch full HD display protected by a 2.5D Gorilla Glass. It runs on a 3GB RAM and the 64GB internal storage can be expanded up to 256GB via MicroSD card. Samsung Galaxy On Nxt is powered by a 1.6 GHz octa-core Exynos 7870 processor and a 3,300 mAh battery. The smartphone dons a full-metal unibody design and runs on Android 6.0 Marshmallow OS. On the camera front, Galaxy On Nxt comes with a 13-megapixel rear camera and an 8-megapixel front camera, both supporting a f/1.9 aperture. The connectivity options of the smartphone include Dual SIM Support, 4G LTE, Wi-Fi, Bluetooth, Beidou, GLONASS and more. It is priced at Rs 16,900 and will be available exclusively through Flipkart. The smartphone comes in two different colors- Black and Gold. Priced at Rs 16,900 the Samsung Galaxy On Nxt will be available through Flipkart starting April 26. The smartphone will be available in two color variants - Gold and Black.